We have been informed that this morning (April 2, 2014), Fr. Vladimir Kozina, passed away. On September 10, 1989, St. Margaret Mary became the first parish in California to receive a permission (indult) to celebrate the Holy Mass according to the Missal of 1962. Fr. 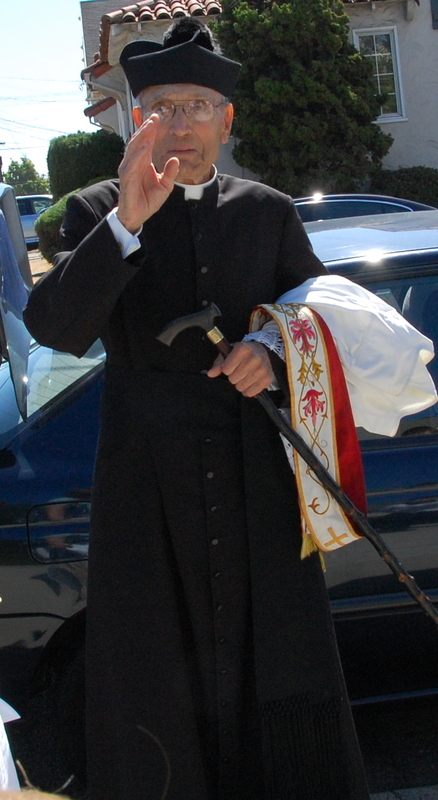 Vladimir Kozina, the pastor of St. Margaret Mary at the time, sought and obtained permission from then- Bishop Cummins. Please remember to keep Fr. Kozina in your prayers. 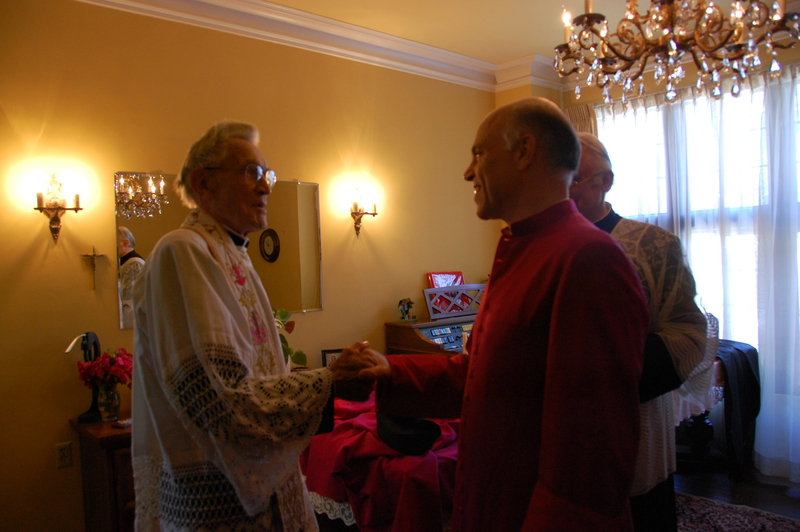 Archbishop Cordileone (then Bishop of Oakland, CA) meeting Fr. Kozina for the first time during the 20th Anniversary of the first indult mass at St. Margaret Mary’s (Sept. 20, 2009). Rest in peace, Fr. Kozina!